Annual RPCV NENY Summer Picnic on Saturday, July 16th at 2pm – All are welcome! It’s that wonderful time once again! Mark your calendars for our Annual RPCV NENY Summer Picnic! Bob Crowley has once again offered to host us in the backyard of his beautiful home in Poestenkill, NY. The picnic will be held on Saturday, July 16th beginning at 2pm and ending whenever people decide to pack it up. -EVERYONE! This is a no holds barred get together. Bring your family, friends, casual acquaintances, bring literally anyone you can think of to this picnic. All are welcome! If you have questions, email us at rpcvneny@gmail.com. 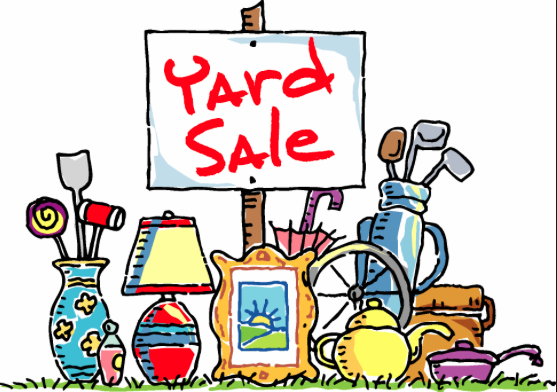 The Yard Sale will be held on FRIDAY, JUNE 17TH and SATURDAY, JUNE 18TH, rain or shine, from 9am to 3pm at Jeanette and Steve Gottlieb’s house located at 200 South Manning Blvd. in Albany. All proceeds from this Sale will go directly into the group’s account and will allow us to continue fulfilling the 3rd Goal and to contribute to various international causes. If you’re available on either or both of these days, we could certainly use your help! 1) You can contribute items. Take a look around and see if there are any items you would be willing to donate to the group. If you have items to donate and can drop them off the day of the sale at 8am, that would be ideal. If you’re unavailable the day of, the preference would be to drop the items off at the Gottliebs’ the week prior to the Sale. If that doesn’t work, we can arrange to pick up these items for you prior to June 17th(unless you’re able to bring them to the June 7th monthly meeting). If you have items, please coordinate with Jeanette to let her know what they are and whether or not we need to coordinate a pickup. We are hoping to have a good idea of what we are going to have prior to the Sale, so that we can advertise accordingly. If you want a specific price for an item, make sure you mark it with a price tag prior to donating it. Otherwise, we are going to bargain with buyers the day of. Also, if your item does not sell and you want it to be returned to you, you need to pick it up after the Yard Sale is over. Otherwise, all leftover items are going to be donated to the Salvation Army or other charitable organization. For emphasis, donated items will not be returned unless the donor arranges for pick-up the day of the Sale. *We especially need help with the first and last shifts of the day, for set up/take down. Additionally, Jeanette has some larger items in her basement that would need to be moved for easier access. It would be particularly helpful to have people who are able to help carry large items to help do that the first shift of the day or Thursday night if unable to come the day of the Sale. 3) You can contribute tables or tents/shelters. We need a few more tables and especially some tents and shelters in case it rains. We could also use some clean boxes if you have them. 4) You can bake some items and pack them individually for sale on the day of. 5) You can donate cuttings of plants (these sold particularly well last year). If you need pots, talk to Jeanette. She’s got the hook up. 6) You can volunteer to help pick up items in your area if people are unable to drop them off. If you can help out in any of these ways, please email Jeanette atjeanettegny@earthlink.net. We’re presently working on a flier that I’ll send out to the group in a later email – if you can post around your area and help us publicize, that would be great! Again, all proceeds from this Sale will go directly into the group’s account. Please note, there will not be a tax write off for donations to the group as we are not a 501(c)(3). Let us know if you have any questions. Thank you all in advance, and here’s hoping that we can make this fundraiser as successful as the last!